The Checkerboard Guy (AKA David Aiken), beyond being a snappy dresser and a regular at Moisture Festival also fancies himself a craft brewer and has created a line of beers which, as the label states, have been “Inspired by Clowns and Enjoyed by All!” Since October, 2011, he’s also been the driving force behind The Stories from the Pitch podcast a semi-regular offering dedicated to creating a living oral history about street performing and some of the crazy characters who populate this world (http://BuskerHallofFame). 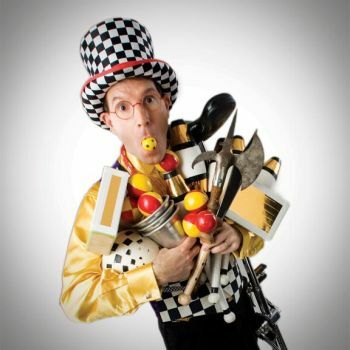 His ongoing pursuit of a life in the Variety Arts is a remarkable mash-up of performances on the street, on cruise ships, at festivals, with symphony orchestras and anywhere else he can find a an audience up for a good laugh. Good to have him back.